Planning a funeral or memorial service can be overwhelming. That’s perfectly understandable, since it’s a task one rarely takes on more than a few times in their lives. If you’re planning ahead for your own, there’s certainly less pressure to get it “right,” and there’s no particular deadline. If you’re in good health and simply being proactive by making your funeral arrangements, take as much time as you’d like to work with the funeral home of your choice on your plans. Planning a service for a loved one who has just passed away is another kind of challenge. Not only might you be feeling uncertain, and maybe even fearful of the process, but you have to focus on this important event in the middle of deep grief and sadness – on top of your daily responsibilities, which don’t necessarily go away when you lose a loved one. And, it’s a cruel irony that, many times, the very person you’d most like to provide you the support and guidance to get through this difficult time in your life — the one who would know exactly what to do — is the person you’ve lost. However, when you choose a compassionate, experienced funeral home like Phaneuf to handle matters, the staff will walk you through every step and provide all the information you need to make decisions. We have put together a comprehensive funeral planning checklist so that family members can make sure they haven’t overlooked any detail. Much like planning any other significant life event, there are large considerations to funerals, such as choosing the locations and elements of the service, which have become less traditional over time. Will you have calling hours, or a religious service only? You might or might not have a cemetery burial and reception. You’ll choose music, prayers, readings, and other ways to personalize the service to honor your loved one. The funeral director also will suggest ways friends and other family members can help. Who will seat guests and answer any questions? Will you want flowers removed from the church or funeral home and brought to another location like your home, cemetery or someplace you’d like to donate them? These are just some of the smaller items on our checklist we will bring your attention to when the time comes. 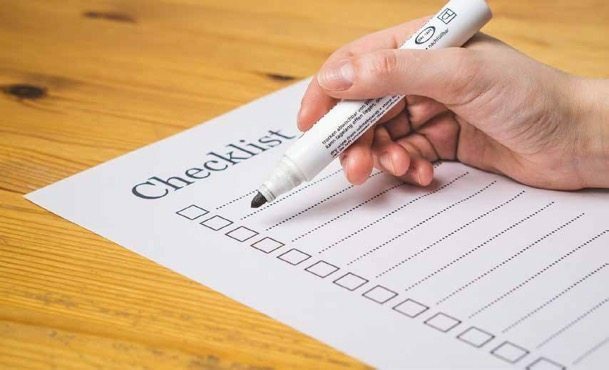 Even if your deceased loved one has left instructions and made their wishes clear, it’s a good idea to refer to the checklist. While many of the major decisions will have been made for you, many of the smaller details might still be left up to you. The itemized list will help you stay organized and remember every element. The breakdown also is a way you can assign some of the tasks to others in your network of family or friends who want to support you. Funerals homes like Phaneuf are a resource you can depend on during a difficult time, whether it’s unexpected or you knew it was imminent. Planning a funeral isn’t easy, but we can help simplify the process. Early funeral planning is something I’ve been thinking about. It’s nice to know that an experienced funeral home will walk yours through the process. That point was quite helpful since I wasn’t sure where to begin my planning. Thank you for the post on following a funeral checklist. I like the idea of finding a funeral home that helps you with a funeral checklist and arrangements. A funeral can be extremely hard on the loved ones of the deceased. Having someone who helps you through the process would be a nice reprieve.